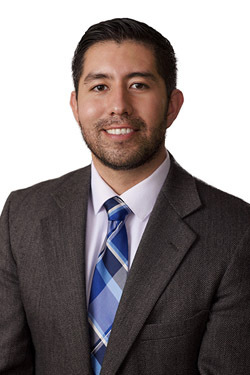 Daniel Alfaro currently serves as coordinator of the Undocumented Student Services program. In this capacity, he oversees the student center and a series of high-impact programs tailored to meet the unique needs of mostly first-generation, underrepresented undocumented students. The services provided through this program reach an estimated 400 undocumented undergraduate and graduate students and are some of the first in the nation, among a handful of universities, to focus on supporting the retention and success of undocumented students in higher education. Before UCSD, Daniel served as manager for the Immigrant Integration program at Alliance San Diego, a non-profit community empowerment organization that focuses on civic engagement, human rights, education equity, and tax and fiscal policy. While serving as manager, Daniel represented San Diego as site lead for the New Americans Campaign and Ready CA, two national and statewide coalitions, respectively, of organizations developing innovative and effective practices for providing high-capacity legal services, with high-efficiency resources. In his time at Alliance San Diego, he helped bring free immigration legal services to churches, schools, universities, libraries, and community centers. Through these services, hundreds of local San Diego residents were able to naturalize or apply for the Deferred Action for Childhood Arrivals (DACA) program. Daniel was born in Queretaro, Mexico and came to the U.S. at the age of 11 with his family. Once in the U.S., his family settled in Escondido, California, where Daniel lived most of his young-adult years until relocating to the City of San Diego in 2013. In college, he was an active community organizer who challenged unjust practices deployed by the Escondido Police Department to target undocumented immigrant motorists. In his free time, Daniel enjoys exploring our diverse San Diego communities and spending time in nature through hiking local trails. Saya Austin is an Attorney Fellow at the UC Immigrant Legal Services Center serving UC Riverside and UC San Diego. She is a 2015 graduate of Brooklyn Law School and holds a B.A. in International Studies -- Sociology and Communications from UC San Diego. Her legal experience includes working on asylum applications through law school clinic and on International Human Rights Fellowship, representing children in the New York City Family Court, and filing various humanitarian immigration petitions at the International Institute of the Bay Area. Greetings! My name is Christian Abigail Gonzalez and I’m the Assistant Coordinator at the Undocumented Student Services Center. I am thrilled to be joining the UC San Diego and USS family! In my role, I will be leading professional development initiatives, offering one-on-one holistic advising to our students and providing general support to the center. I’m a first-generation college graduate; I obtained my BA in Ethnic Studies from the University of Colorado Boulder (Go Buffs!) and my MA in Higher Education Administration from Adams State University. As an undergraduate student, I was drawn to services that fostered success and a sense of belonging for underrepresented students and, as a professional I feel very fortunate to make a positive impact in student’s lives. I’m passionate about educational equity, social justice and the empowerment of marginalized communities. I was born and raised in Santa Maria, CA to Mexican immigrant parents from Guerrero and Guanajuato. However, over the past 17 years I’ve called the beautiful state of Colorado my home. My favorite movies are La La Land, La Misma Luna, and Pixar’s UP. I also enjoy good food, dancing, laughing and talking about puppies. My name is Stephanie Estrada and I am the Graduate Assistant for the Undocumented Student Services Center. I transferred from Mesa Community College and earned my B.A. in Urban Studies from San Diego State University (SDSU). Currently, I am a second year masters student in the Postsecondary Educational Leadership Student Affairs program at SDSU. As a first-generation, community college transfer student my own experiences navigating through higher education heavily influenced my desire to work with students. I strive to provide a welcoming and supportive environment that helps foster the success of all students. I am a UC San Diego alumni and obtained my B.A. in Human Development and a minor in Education Studies. As a Program Specialist I help to support the Undocumented Student Services Center, Student Veterans Resource Center, and the Student Success Coaching Program. I am very fortunate to be helping these three programs to better serve students and their needs. As a UC San Diego alum I understand how overwhelming this university can be in terms of size and information. Seeking help and asking questions is the best way to obtain the support that is needed. Hiya! My name is Krina Desai and I am a fourth year Political Science and Economics double major in Thurgood Marshall College. One of my focuses as a college student has been to help minority communities gain access to resources. As the legal intern for the Undocumented Student Services Center I am able to combine that focus with another passion of mine, the law. My main job as the legal intern is to help the center's immigration attorney provide students with the best possible service! I'm a transfer student from Los Angeles, and originally from Mexico. I am a senior in Muir college, and much like the "Father of National Parks", John Muir, I believe that America's public lands are truly our nation's best idea! Because of my interest in geology and environmental justice, I am majoring in Earth Sciences under UCSD's Scripps Institution of Oceanography. As Community Building Intern, I hope to help our community connect and flourish through events that are both fun and purposeful. Everyone is welcome to our center and events, so we hope to see you soon! Hi there! I am a Communications and Political Science major, and Computer Science and Business minor. The injustices that undocumented community faces are challenged by efforts to dismantle those injustices. I believe that we should support and empower each other in positive ways by bringing strength to our individual stories and collective voices. I want the work that I do -- now and in the future -- to give back to our communities and to be a resource for others as people have been for me. As a Design and Marketing Intern, I want to increase awareness of the resources at our center, highlight the work that people from our communities have done and are doing, and to support students so that our voices are heard. Hellos! My name is Seyeong Min and I’m a second year ERC student studying international political science and economics. I was born in Seoul, Korea and moved to the US when I was five years old. Since then, I’ve moved twelve times but Los Angeles will always be my one true love. Over the years, I’ve come to realize that home really is where your heart grows, and no one has the right to take that away. In the future, I hope to work with immigrant families as an attorney to ensure that every voice is heard. As a Programming Intern, I create events and plan projects that will help you develop both academically and personally. These projects/events can be anything from overnight stays at Sacramento for lobbying visits to creating informatory flyers of what resources we have on campus. If you have any suggestions, or just want a conversation buddy, feel free to reach out! Hi! I am a second-year double majoring in Political Science - American Politics and Urban Studies and Planning - Regional Policy. Originally, I was born in San Salvador, El Salvador and moved to the states at the age of 8. Currently, I am extremely passionate about the ties between public policy in immigration and housing/transportation in underserved communities of color. As a retention intern, it is my duty to provide resources to ensure that students are able to succeed at the university level as well as introduce them to the many resources not only that the center, but that the university also provides. Feel free to reach out!"